- Five efficient modes to select files to be printed/plotted: drag and drop files, load document list from Excel, search for files in specified folders, print all open documents, print active document only. 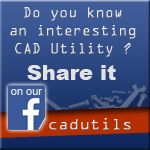 - Batch conversion to CATIA, DWG, DXF, eDrawings, IGES, JPG, PDF, PDF 3D, STEP, STL and TIF file formats. - Auto orientation of the drawing (portrait or landscape); automatically identifies the format of the drawing and sets the orientation accordingly. - Uses a spooler and sends all print files from the batch together so that it prevents a mix-up with print files sent from other sources on the network. - Compatible SolidWorks documents: sldprt, sldasm, slddrw.